No, actually I’m not because the book is too amazing to be biased. Check out the quick summary below first and then I will get into my review! So my review? Read on!The opening pages of this book really captured me. Right off the bat, I knew exactly what Merrin wanted most in life and that drove me to really connect with her as well as wanting to see if she ends up getting it. Her personality was so deeply rooted in wanting this one thing that she was very unhappy on a day-to-day basis without it. Her urge to make her ONE power (which is just to float) into a superpower – so she can actually fly is very understandable. In a market saturated in teens with supernatural abilities, I think this takes a unique twist on the idea of how there are multiple functions that go into make a superpower actually work. I was fascinated with this idea of “combinations” of multiple powers to really have one power – like flying – work correctly. Merrin is also super smart – and although some of the scientific terminology went right over my head – she uses these skills to try to “fix” herself so she can fly. This is the one goal that she believes will solve all her troubles that revolve around being a ONE. See my whole review on The Writer Diaries! 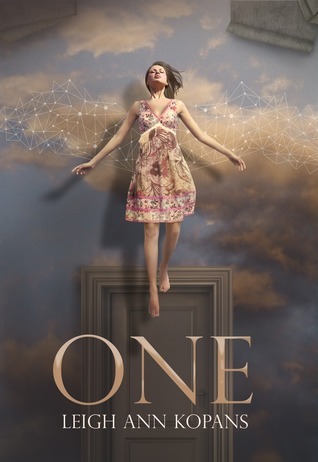 ONE will be available on June 11, 2013!! Here is the official Goodreads page as well so add it to your To-Read shelf now!